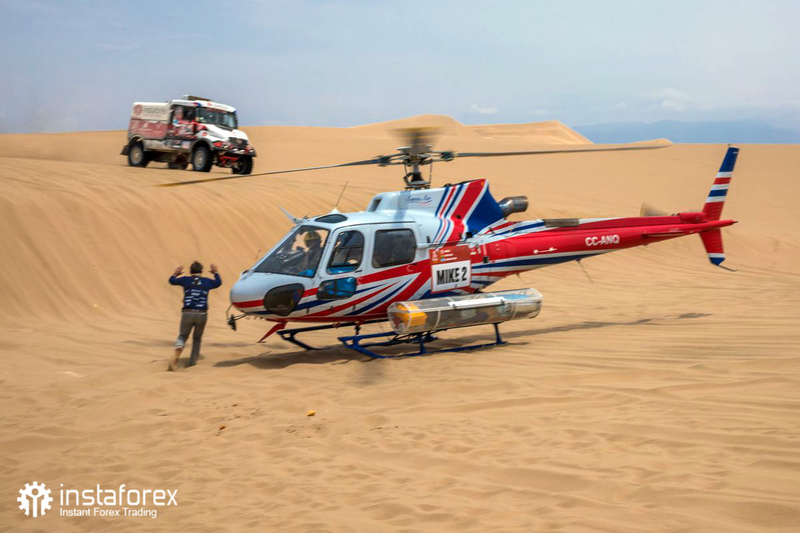 Ales Loprais, Ferran Marco Alcayna and Petr Pokora and their Tatra Jamal – Queen 69 in the colours of the InstaForex Loprais Team managed together the so far worst stage of the Dakar Rally 2019, but even worse is probably still to come. For Monday the organizers promise the real Dakar hell. Despite two punctures the Czech-Spanish crew holds sixth place in the general standings in the truck category after the stage from Arequipa to San Juan de Marcona, with the loss of 23 and a half minutes after the fourth rank. Wiping off a deficit of mere 48 seconds would move the crew up to rank five. The organizers of the Dakar Rally prove that a single country is able to prepare a race that will long be remembered by its participants. They will not forget for example about the Sunday stage from Arequipa to San Juan de Marcona, where the trucks had to cover a special stage that was 309 kilometres long plus another 500 exhausting kilometres of the liaison sections from the last and to the next bivouac. After a very early wake-up alarm all participants faced an extremely long and demanding day. The route of the special stage passed through four dune fields. Immediately after its start the competing trucks entered the Tanaka dunes, advised to be one of the most demanding sections of the whole 41st edition of the famous marathon rally. Then followed Acari dunes, already forming part of stage three this year, but in their different part. And towards the end of the stage there were still the Duna Grande and Duna Argentina areas. Their pass was said to be much easier than in the case of the Tanaka dunes, but the already exhausted crews saw even this section as no walk through a rose garden. The Monday special stage will be still a little longer (323 km) and even much more tricky, according to the organizers, but the crews will start it from San Juan de Marcona where they will return again in the evening, which means little time spent on the liaison sections (64 km).